Here's everything you ever wanted to know about microneedling. Microneedling — the process of using a device with a needle on it to poke tiny holes into the skin for the sake of spurring collagen and elastin production — isn't new. Gwyneth Paltrow has been doing it for years. (And having seen her in person recently, I can attest, her skin looks damn good.) And though dermatologists and estheticians seem to agree on the miraculous, youth-ifying powers of it, the treatment is still largely misunderstood. But curiosity has skyrocketed: According to RealSelf.com, a website that serves as a forum for cosmetic-surgery consumers, visitors searched microneedling twice as much during the first half of 2016 compared with the same period the year before. So let's take deeper look at the practice, shall we? "Microneedling is the process of using a pen-like device with tiny needles in it to create controlled trauma to the skin," explains Dr. Joshua Zeichner, the director of cosmetic and clinical research in dermatology at Mount Sinai Hospital in New York City. "The damaged skin then undergoes a wound-healing process creating smoother, more even skin tone and texture." It's administered by dermatologists in-office and by licensed estheticians, though there are also gentler, non-electronic "cosmetic rollers" that you can use at home. 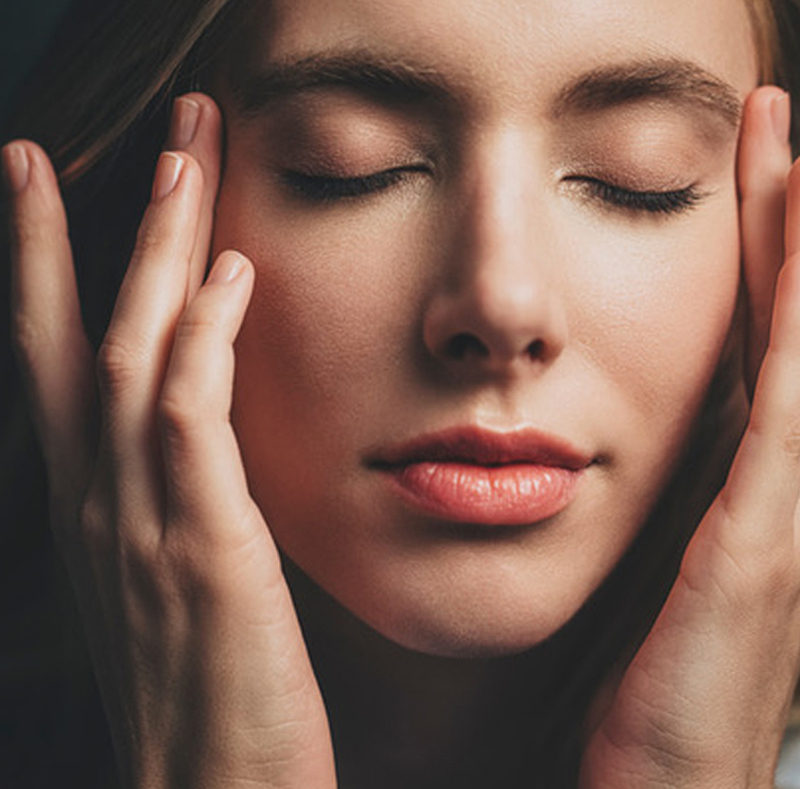 Because it's a physical treatment — a needle is literally puncturing the skin; there's no use of chemicals, topicals or lasers — microneedling is favored by those looking to avoid those types of treatments. (Given Paltrow's outspokenness about avoiding chemicals in beauty products, it makes total sense that she's a fan.) But just because the process doesn't involve lasers doesn't mean it's not advanced. "A lot of technology goes into developing the needles themselves," says Zeichner, who likens microneedling to a poor man's version of dermatologist-revered Fraxel lasers. "Rather than a laser creating damage to the skin, the doctor actually applies pressure by hand to create a controlled injury. The trauma creates damage that in turn stimulates the skin to heal itself by creating new collagen and elastin." What benefits are associated with microneedling? When used regularly, microneedling strengthens the epidermis by spurring production of collagen and elastin naturally, says Mashell Tabe, an esthetician who has been specializing in the treatment for seven years. (She's the one behind Gwyneth's complexion, as well as plenty of other celebrities'.) According to Tabe, microneedling can also help skin-care products to absorb into skin more effectively; you're poking little holes in it, after all. But Tabe stresses the importance of viewing microneedling as a skin-training program rather than an immediate fix. "It takes about six treatments to experience thickening of the epidermis, an evened-out complexion and firming of the skin because of collagen regeneration," says Tabe, who suggests getting the treatment once a month. Another benefit of microneedling in comparison to laser treatments is that it's more versatile. "It's appropriate across a variety of skin types, including darker skin, which may be at risk for developing pigmentation. In addition, sensitive areas that aren't a good candidate for lasers can be treated with microneedling, like skin around the eyes, hands or chest," explains Zeichner. Well, it hurts. "Each client's pain threshold is different, but I've never had a client tell me to stop," says Tabe. Fair enough, but time to interject with my personal take: I'm pretty sure I have a fairly high tolerance for pain, and I still found microneedling to be a pretty uncomfortable process. So don't go into a microneedling treatment expecting a calming, zenned-out experience. Other risks include pinpoint bleeding, swelling and redness as the skin heals over the next few days, says Zeichner. I didn't experience bleeding, but I did notice inflamed areas near my chin for about 24 hours following my first treatment. Tabe also cautions against mirconeedling for anyone with a compromised immune system or diabetes, since those people may be at risk for a secondary infection post-treatment. Then there's the price: Tabe's treatments run $700 each (!) and dermatologists typically charge around $250 for a session. What's the process really like? As I mentioned above, I tried out microneedling for myself not too long ago. (Full disclosure: Tabe was gracious enough to offer me a complimentary treatment, though I was under no obligation to write about it; all of this is my honest take). Tabe is based part-time in Albuquerque, New Mexico and part-time in New York, and it just so happens that her NYC treatment space is located in the same building as Fashionista's HQ. I should probably mention that Mashell Tabe isn't just an esthetician and major proponent of microneedling — she's also a psychic and a spiritual healer. Her treatment space has crystals and sage in the corner, and she talks to you about auras and spirit guides while she works. So a visit to Tabe isn't just about renewing your skin; it's also about renewing your soul and your very being. She immediately sensed that I had literally no experience with this type of spirituality, but Tabe's gentle, knowing demeanor kept me comfortable and open-minded, despite my novice. She gave me insightful advice about my career and relationships without me even having to say much (reminder: she's a psychic). I found it fascinating. As for the actual skin-care portion of the treatment, here's how it went down: After cleansing my skin and gently massaging it, Tabe busted out the microneedling machine, which looks sort of like something they'd use at the dentist's office. The pen-like device has a fine needle that rapidly pokes into the skin as Tabe drags it over your face in methodical swipes. As calming as the rest of my session had been up until then, this part was a shock. The rapid, piercing jolt of the needle into my face hurt enough that it made my eyes well up a bit. Definitely not chill. But after about 10 minutes, it was over, and Tabe was on to the soothing, anti-inflammatory portion of the process, which included light therapy to kill bacteria and fight redness. An hour after our session had started, I left Tabe's office (after giving her a hug; she's just so warm and welcoming, and I felt like we'd been through something together). My skin felt a little bit raw and exposed, but I definitely looked glowy and my aura felt glowy, too. (I'm still unclear as to whether it's even correct to say that one can "feel" an "aura," but just go with it.) I noticed a bit of inflammation the next day and could feel some bumps where the needle had punctured my skin, but other than that, the recovery was pretty quick. Since I haven't gone back for additional treatments, I haven't had the chance to experience the full benefits of a continued regimen, but my skin did look pretty great for the next week or two. Would I do it again? Sure. I mean, look at Gwyneth.